(2/22/84) PHILIPPINES 5'6, 121 lbs. Sales Exec. (34-27-36) Has email. Loving, loyal, caring, one-man-woman. Enjoys cook, badminton, gym. Seeks similar, responsible, respectful, God-fearing family man. Divorced/vices ok.
(3/19/91) PHILIPPINES 5'3, 128 lbs. Employed. Has email. Has many good qualities. Enjoys read, cook, travel. Seeks loyal, loving, generous, caring, stable, no vices man 6'-6'3, 30 up. Divorced ok.
(11/25/91) PHILIPPINES 5'5, 118 lbs. Sales. (35-25-36) Has email. Simple, honest. Enjoys cook, sing. Seeks honest, loyal, sincere, God-fearing man. We all know of the varying online dating and meeting apps - from Plenty of Fish, to eHarmony to apps like Tinder, but they all seems to be open to everyone and don’t have any “exclusivity” about them. That’s where Pacific Island Connection makes the difference. For over 25 years, we have been in business online connecting specifically Western men with Asian girls from the Pacific Islands. We have matched hundred of couples and are responsible for thousands of friendships. If you want to meet the Asian woman of your dreams, try checking us out on Pacific Island Connection to see all of the beautiful Asian women and handsome western men online. If you’re not entirely convinced as to why you should use Pacific Island Connection to meet Asian women, keep reading. 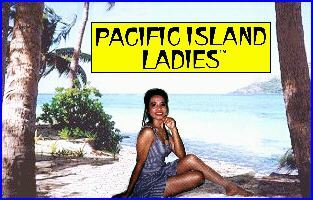 Unlike other online dating sites, Pacific Island Connection is completely free for all of the beautiful women. That’s right - you can connect with Asian women, Asian girls and possibly even in your future Asian bride while paying a fraction of the cost. We value your membership and want to keep the friendships between Asian, Filipina women open with Western men. If you’re looking for a site that has exactly the type of Asian women you’re looking for, without having to pay exorbitant rates, then look no further. Finding the Asian bride or friend of your dreams has never been so easy before. Since we rely on our members, it’s important to spread the word. Please have a look at our website and continue to pass the world along to your friends and others who would be potentially interested. We would love to add more Western men to our site for the Asian women to connect to. The great thing about Pacific Island connection is that the levels of connection can vary, ann you can really find the person of your dreams. Many dating sites are very serious and have huge expectations from both parties. On Pacific Island Connection, it’s much more of a laidback, anything goes type of policy. Whether you’re looking for a regular friends, romantic friend, partner, wife, girlfriend or more, you can find what you're looking for on Pacific Island Connection. And don’t worry - come as you are. If you are a bit older or have problems with self confidence in your looks, it’s not a problem to Asian women. This is because Asian women have values that are much different than westerners, so they truly value an individual for who they are inside. One of the best things about pacific Island Connection is that we have tons of Asian women and Asian beauties from all over that are constantly being updated. After matching successfully with western men, these Asian girls move on and start their own new lives. New women are constantly emerging onto the website, so if you don’t feel entirely secure and right with an Asian women on Pacific Island Connection, another one is bound to come on soon. We have a large, extensive selection of Asian women so it is very likely that you’ll be placed. As the name of our site explains, most of the women come from such countries as the Philippines, Guam, and other islands located in the Pacific ocean. But what do they all have in common? They are very beautiful Asian women and are very pleasant with strong family values. Simply search for Pacific Island Connection for a full list of all of the beautiful women that are waiting to talk to you. Again, we have a very “come as you are approach” - no matter if you are a bit older, shorter, or not the best looking in the world. These women value stability, honor and family values much more than physical features. You’ll be surprised how easy it is to connect with these Asian beauties from the Pacific Islands. All you have to do is enter our site and see for yourself. We have had dozens of clients successfully matched and married, and many of the Western men decide to head out to the Asian countries to pursue the women that they connect with. Or, the Asian women come right to the west to finally meet. We would love for you to be another one of our success stories. Find the Asian women of your dreams today!